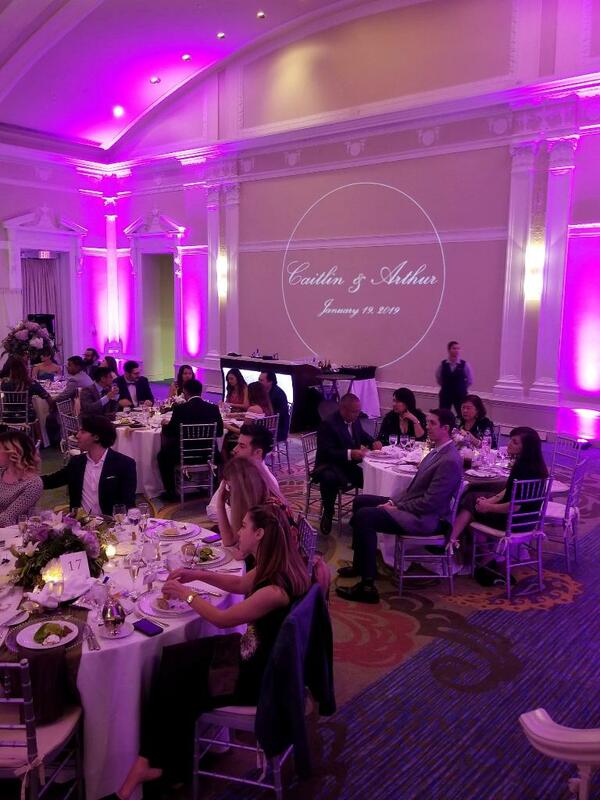 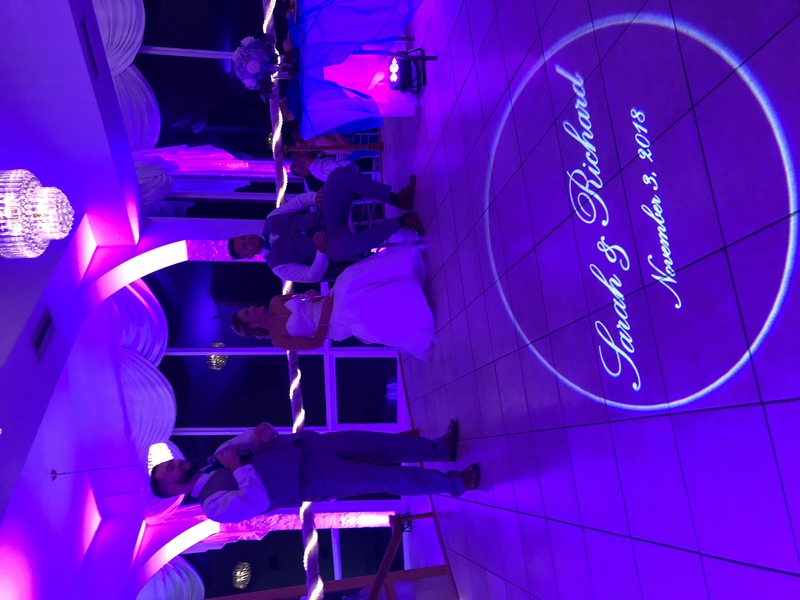 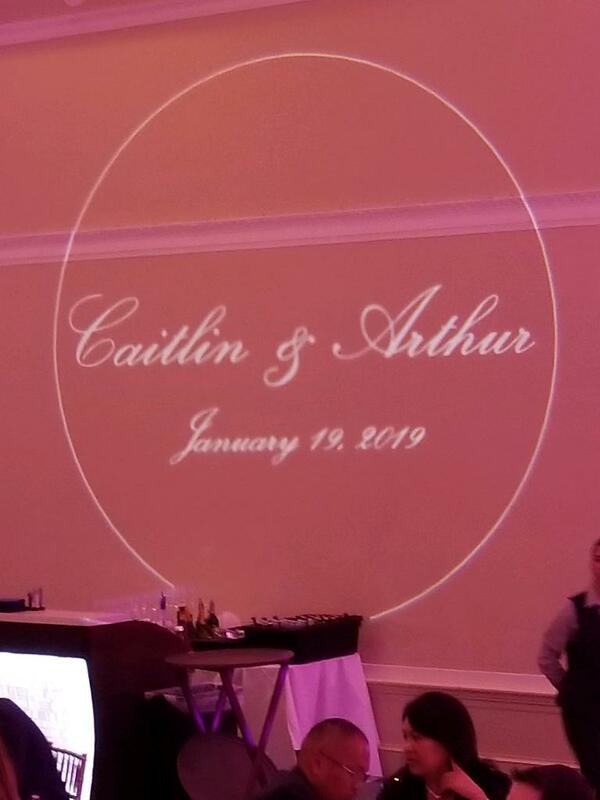 We can create the perfect backdrop for your day with a custom GOBO. 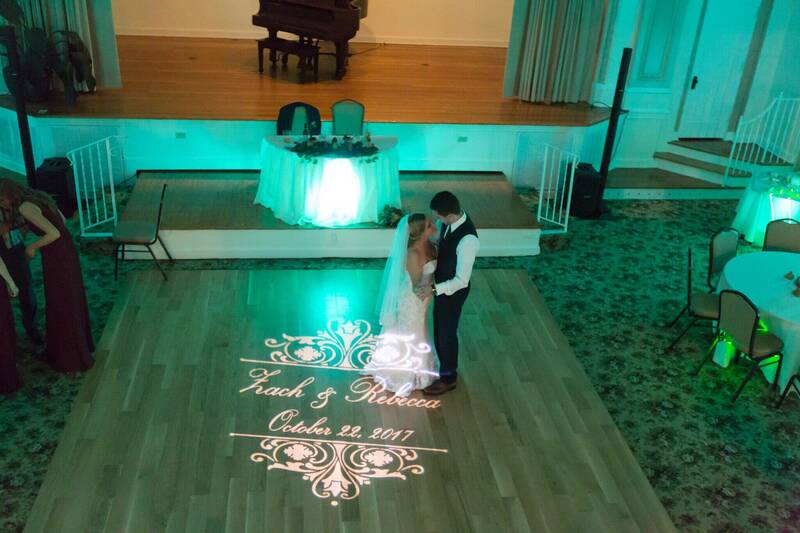 This specialty light can be created with your names, initials, or even a custom design or your company logo. 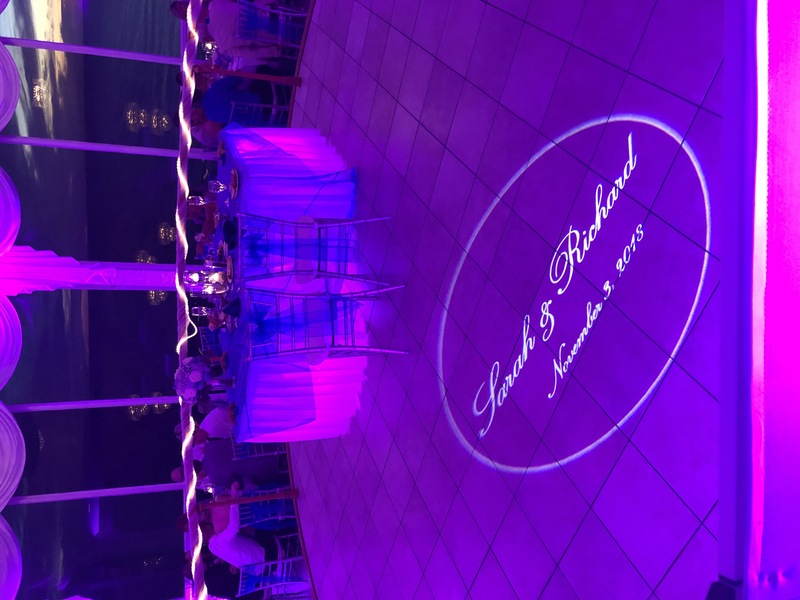 You choose the design and we create the magic! 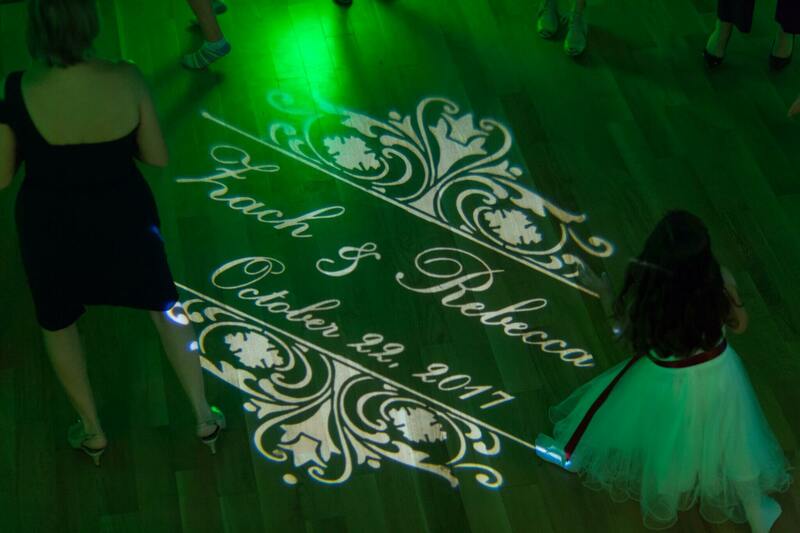 We project the light on any blank wall, curtain or dance floor to highlight what is important to you. 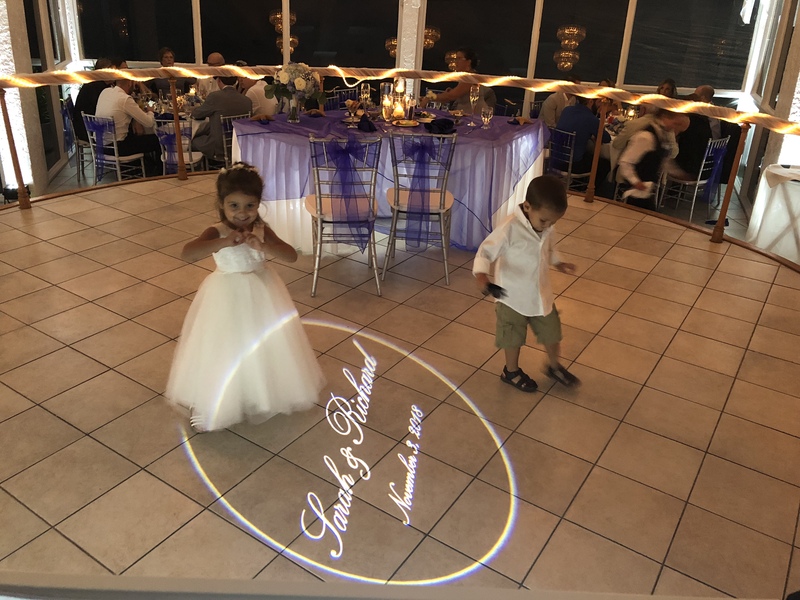 We have about 150 different templates to choose from, or for just a little more, custom design your own and we will bring it to life,. 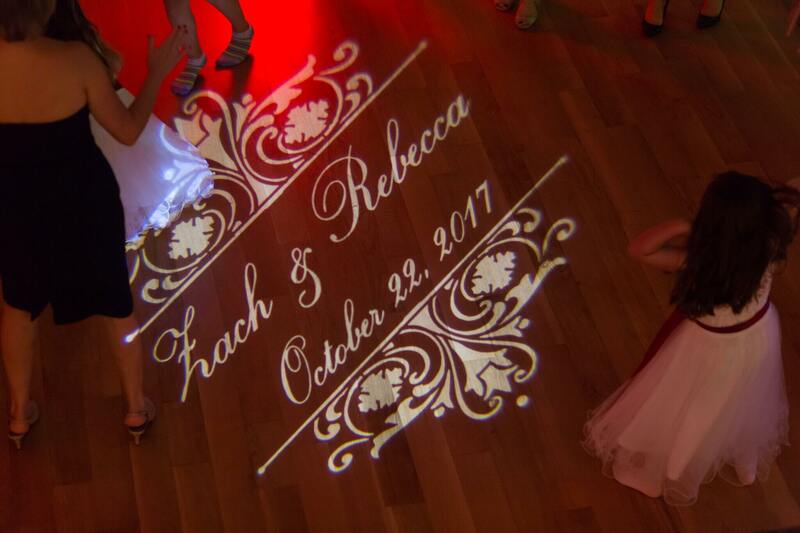 Several samples are below.